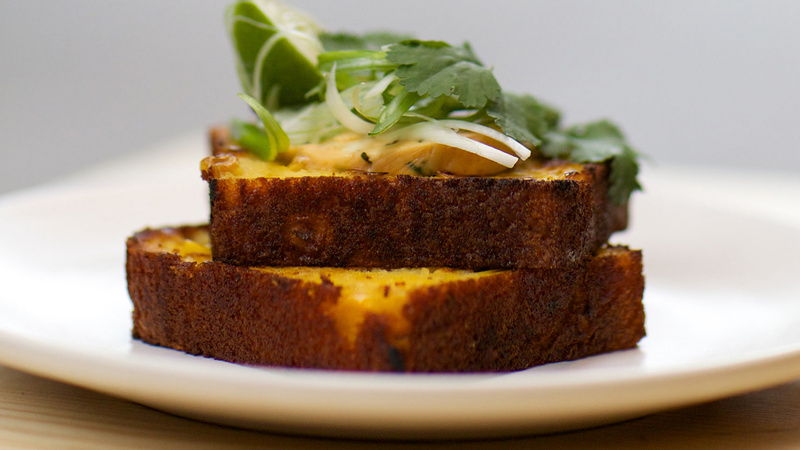 There's something deeply satisfying about cornbread – it's dense, moist and packed with flavour. Which is why, when teamed with a slick of sweet and smoky chipotle butter, it makes for a breakfast that packs a punch. We love this recipe from coffee roasters Caravan. Make this for a special weekend brunch, or sample at its sites in Exmouth Market, King's Cross's Granary Square, and, from September, at its new roastery café, which will also be in King's Cross. Combine the two bowls together and immediately pour into a lined loaf tin and place immediately into the oven. Bake for 30 minutes. To make the chipotle butter, mix all the ingredients together. To serve, heat a dash of oil in a large frying pan on medium-high heat.